TTDI, 16 Dec: Investigations into 1MDB finances by the Singapore authorities have sent two officers of Singapore-based Swiss bank BSI to jail after a Singapore court sentenced Yvonne Seah (pic, above) to two weeks in jail for her role in money laundering. 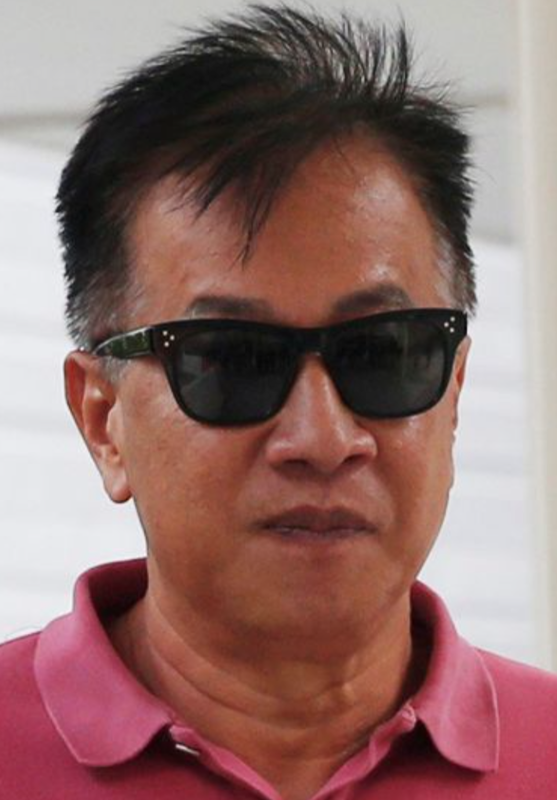 Seah, 45, pleaded guilty to three charges of failure to disclose suspicious transactions allegedly involving Malaysian businessman Jho Taek Lo. She was also fined Sing 10k dollars. Seah worked with Yak Yew Chee, a senior vice-president at BSI Singapore, who was a private banker for Low and 1MDB.Yak was sentenced to 18-week jail term last month on similar charges. Investigations in Malaysia into 1MDB were first ordered by Prime Minister Najib Razak, who is chairman of the fund's advisory body. The Mole has more h e r e.
"Investigations in Malaysia into 1MDB were first ordered by Prime Minister Najib Razak, who is chairman of the fund's advisory body." But sorry. The person who first ordered the investigation appoint new attorney general and throw the case away. And also sorry for the auditor general report need to be buried because its not safe for public consumption. Perhaps this is the example of muslim country who follow islamic teaching in handling corruption issue. Singapore is liberal and secular country. Do take note. I love the way in which the opposition converts any Singapore government action against banks and bankers as being reflective of 1MDB's presumed guilt by US authorities. Singapore is no independent state. It jumps each time the US asks it to. Singapore has no moral standards when it comes to banking. It has been the centre for drug and arms trafficking money, for stolen money and money siphoned out of the accounts of governments in developing countries. Suddenly it has turned the screws on the smaller players for one reason or the other to show the world it is cleaning up its act in regards to black money. The problem with 1MDB and any of its faults (none of which anyone has provided a legal explanation for to conclude it is criminal or illegal) is that no one has ever taken the time to ask if Jho Lo is in fact a part of 1MDB. Like Golaman Sachs he too is a feeder who went overboard and failed to perform on his commitments. That does not make 1MDB of any of its officers corrupt or its activities illegal. Who then told his macai to delete the PAC evidence that proved that 1 billion was siphoned to Jho Low. Who OSA-ed the AG Report showing that $7 billion is gone. Who then put a hand-picked barua in place to reject the MACC's prosecution of...HIMSELF! Ohhhh Latuk, Latuk, you're so cute. For God's sake, write truthfully la..
What is money laundering Rocky? Could you explain how the money involved in this case is considered as dirty, that needs to be laundered?